Apple has paid $60m (£38.2m) to settle a dispute in China over ownership of the iPad name, a court there announced on Monday, removing a key obstacle to sales of its tablet computer in the enormous Chinese market. Apple's long-running dispute with Shenzhen Proview Technology, which had claimed to own the name, highlighted the possible pitfalls for global companies in China's young trademark system. But it also posed a challenge for the communist government, which wants to attract technology investors to develop China's economy. Apple said it bought the global rights to the "iPad" name from Proview in 2009, but Chinese authorities said the rights in China were never transferred. A Chinese court ruled in December that Proview, which is struggling financially, still owned the name in China. It then asked Chinese authorities to seize iPads, apparently to pressure Apple to settle. "The iPad dispute resolution is ended," the Guangdong High People's Court said. "Apple has transferred $60m to the account of the Guangdong High Court as requested in the mediation letter." For Apple, which has billions of dollars in cash reserves in the US and abroad, the payment will be a small cost towards a far larger goal of reaching the hundreds of millions of Chinese consumers who might want its products. Despite its expense, the iPhone is a sought-after brand in China, while "grey market" imports of iPads to mainland China during the trademark dispute have run into millions, often purchased in western stores by organised groups who ship the devices straight off to their destinations there. Apple dominates the global tablet market outside China, while inside it dozens of low-cost brands compete for consumer interest. Ironically, every iPad is manufactured inside China by the Taiwanese contract manufacturing company Foxconn, which employs more than a million people at its factories and makes products for others including Microsoft. Brazil's government says Foxconn plans to open factories there to produce iPads and other products. China is Apple's second-largest market after the US and the source of much of the Cupertino-based company's sales growth. Proview hoped for more money but felt pressure to settle because it needs to pay debts, said a lawyer for the company, Xie Xianghui. He said Proview sought as much as $400m and might still be declared bankrupt in a separate legal proceeding despite the infusion of settlement money. The dispute centered on whether Apple acquired the iPad name in China when it bought rights in various countries from a Proview affiliate in Taiwan for £35,000. "It is a good deal for Apple, because sales of iPads, which are in great demand, can compensate for this $60m cost," You said. Apple has yet to announce a release date in China for the iPad 3, but the country's telecommunications equipment certification agency approved the tablet in May. Without a formal ruling, it would be hard for companies to draw lessons about how Chinese courts would handle such disputes in the future, said Stan Abrams, an American lawyer who teaches intellectual property law at Beijing's Central University of Finance and Economics. A Hong Kong court ruled in July that Proview and the Taiwan company both were clearly under the control of the same Taiwanese businessman, Yang Long-san, and had refused to take steps required to transfer the name under the agreement. 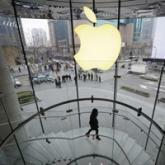 The judge said the companies acted together with the common intention of injuring Apple. However, that judgment had no automatic force in the mainland case because Hong Kong, while Chinese territory, has a separate legal system. Apple also ran into a trademark dispute as it launched the iPhone in January 2007. Cisco Systems, which makes networking hardware, had owned the trademark since 2000 and used it for a line of internet-connected desk phones. After Cisco sued, the companies reached an undisclosed settlement and the phone went on sale six months later as planned. "The only thing companies really should take form this case is, be careful when you do transactions, be careful with your contracts," Abrams said. "Be careful you're doing it the right way or you could pay a lot for your mistakes."